For Ball State, 1965 was a big year. On February 8, 1965, the institution's transition from a teacher training school to a full-fledged university was recognized as Ball State Teachers College was officially renamed Ball State University. Enrollment on campus reached an all-time high, having more than doubled in the preceding 10-year span. 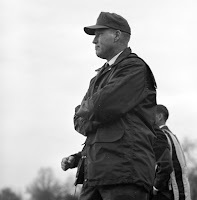 And on the football field, Coach Ray Louthen's resurgent Cardinals completed an undefeated season, the 2nd in school history, and received an invitation to the Grantland Rice Bowl, marking the first time that Ball State would participate in a postseason game. The game, played on December 11th at Horace Jones Field (now Johnny "Red" Floyd Stadium) in Murfreesboro, Tennessee, was one of four regional championship games among schools belonging to the NCAA's College Division. It pitted Ball State against the also-undefeated Tigers of Tennessee State University, a historically black university located in Nashville. The game was named for renowned sportswriter Grantland Rice, who hailed from Murfreesboro. Thanks to the work of the Ball State University Libraries, archival records documenting this game have been digitized and made freely available in Ball State University's Digital Media Repository. 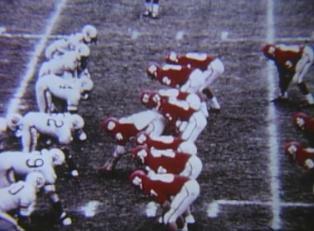 The Ball State University Historic Films and Videos collection includes a complete color film of the game. 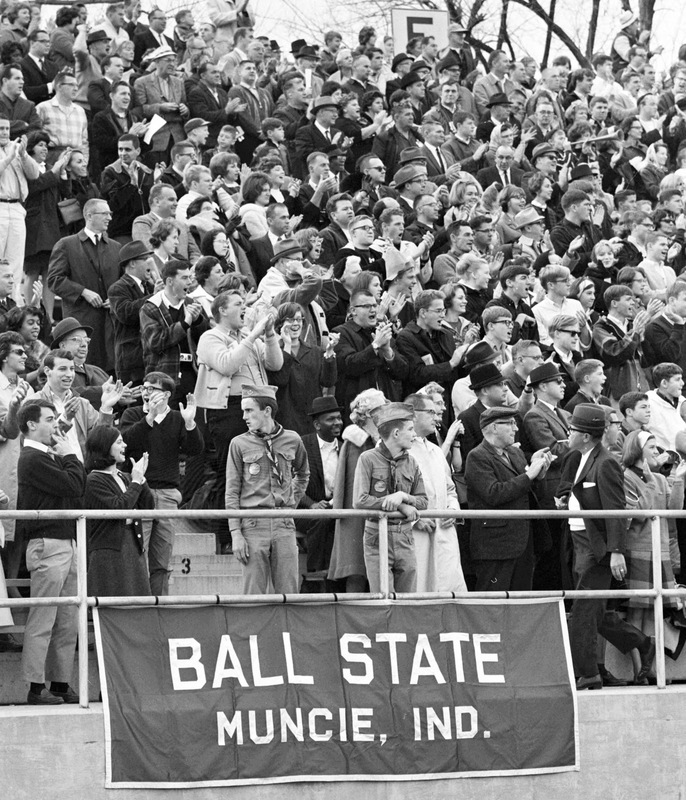 The Ball State University Campus Photographs collection includes a series of digitized photographs from the historic contest. And the collection of digitized historic editions of the Ball State News/Daily News contains stories covering Ball State's bowl invitation, previewing the match up, and recapping the action. Ball State faced a formidable foe and entered the game against Tennessee State as underdogs. Coached by John Merritt, now a member of the College Football Hall of Fame, the Tigers were led by dynamic quarterback Eldridge Dickey, a future 1st-round draft choice by the Oakland Raiders. Would-be NFL star Claude Humphrey also suited up for the Tigers at tackle. 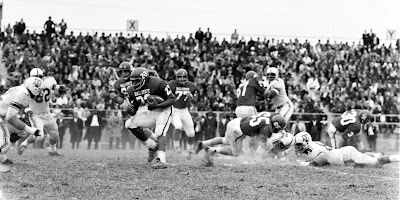 The Cardinals were led by quarterback Frank Houk and star halfback Jim Todd, who was honored as the most valuable back in the Indiana Collegiate Conference in 1965 and enjoyed a professional career with the Detroit Lions. A wild back-and-forth affair, the game ended in a 14-14 tie with Ball State holding off a late push by Tennessee State as time expired. The Tigers took a 6-0 lead early in the game, but Frank Houk brought the Cardinals back, throwing touchdown passes to end Steve Demuth and halfback Jim Todd. Ball State entered the locker room at halftime with a 14-6 lead. The lead remained at eight for the Cardinals until late in the 4th quarter, when Tennessee State's Nolan Smith returned a punt for 74 yards for a touchdown; a two-point conversion tied the game at 14. Tennessee State regained possession with little time remaining. 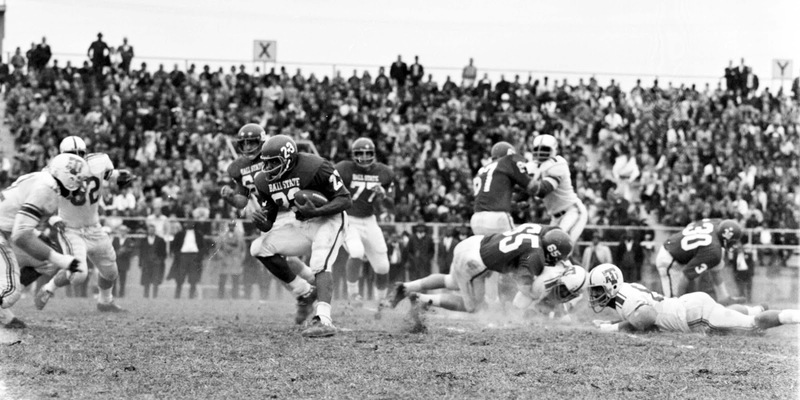 On the game's final play, Eldridge Dickey completed a pass to Tiger receiver Joseph Cooper, but Ball State defender Norm Moon tackled Cooper short of the goal line, preserving the tie and an undefeated season. The Cardinal faithful were well-represented in Murfreesboro, as 2,400 Ball State supporters made the trip southward to support their team. Also making the trip was the Ball State Marching Band, the "Pride of Mid America", led by director Earl Dunn. The band performed in the bowl's parade the morning of the game and at halftime. This blog provides the latest updates on the Archives and Special Collections at the Ball State University Libraries. For more information visit Archives and Special Collections on the second floor of Bracken Library, call us at 765-285-5078, or e-mail us at libarchives@bsu.edu.